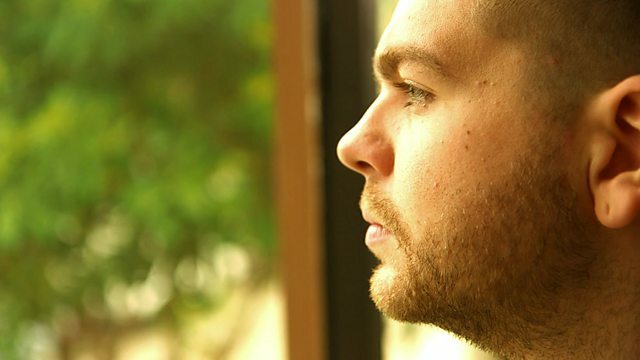 Jack Osbourne presents an appeal on behalf of the Multiple Sclerosis Society, the leading UK charity providing vital support for the thousands of people living with MS.
Browse content similar to MS Society. Check below for episodes and series from the same categories and more! for the sheer thrill of it. That's me hurling myself off the highest bungee jump in the world. was when I was diagnosed with multiple sclerosis. when I had to break the news to them. None of us saw this coming. I'd just become a father and was determined to not be beaten by it. now have to think about every day. I'm not unusual getting MS in my 20s. But most people with the condition are actually women, like Charlotte. like a hair or something was in there. I kept fiddling and trying to get it out. I had no idea what was round the corner. she saw a specialist who diagnosed the problem. Most of the time, her symptoms are mild. never knowing when one will strike. is it going to be at Christmas? When's it going to happen? We just don't know. It's like being a rag doll. so you're trapped in this body that's just not working. something that is distressing for any mother to contemplate. Will I always be able to walk them to school? so I just have to be grateful for every day with them. When I was diagnosed, I'd barely heard of MS.
the family, the friends and the carers of those with MS.
feeling like you're out there on your own. fighting to help people with MS keep control of their lives. Lynsey Page is the proud mother of four-year-old Alba. She's aware that MS can add to the usual challenges of motherhood. When a relapse hits, the simple things are no longer simple. cos it comes on so quickly. It's devastating when that happens. the emotional pressure can become unbearable. And inevitably, those closest sometimes take the strain. That's the hidden part about MS.
You don't see how much a person can be struggling underneath. Learning to adapt can be a real challenge. to a network of hundreds of branches around the UK. when being active can become difficult. to share experiences with people just like them. they feel they're putting less pressure on their families. not-for-profit funders of research to find a cure for MS.
We want to see an end to MS - a world free of its effects. they do not have to face this awful condition alone. I really needed to talk to somebody. "because they're obviously upset about it as well." it's important to be able to offload to someone outside the family. Finding the MS Helpline was excellent. put the phone down and feel better. to keep up with her growing daughter Alba. with a grant for a mobility scooter. I don't even want to imagine what my life would have been like. I think it would've been pretty easy to slip into quite a dark place. 'Alba and my scooter have their own love affair. Lynsey's husband had given up work to care for her and Alba. That meant the family couldn't afford holidays. to experience a necessary respite from the daily challenges of MS.
just trying to live a normal life. And when you come back from holiday, it's not so hard. Everything just seems a little bit easier. who are living with multiple sclerosis. The MS Society is the leading UK charity for people with MS.
you can help them to carry on this vital work. ..to find out where to donate. If you can't get through the first time, please, please keep trying. goes to the MS Society. TV personality Jack Osbourne presents an appeal on behalf of the Multiple Sclerosis Society, the leading UK charity providing vital support for the thousands of people living with MS, as well as their family and carers. Jack talks from the heart about being diagnosed with MS just over a year ago and the impact it has had on his family. The film also features Lynsey, who looks after her four-year-old daughter whilst also coping with MS. Some relapses can leave her barely able to move. Living with MS can put a serious strain on family relationships, but Lynsey talks about how the MS Society provided support to enable her to maintain her independence, and to live a full family life.